Our friendly and approachable team firmly believe in treating the person as opposed to just a set of teeth, and understand the importance of building trust and confidence with our patients. Peter enjoys working with people to help improve their smile and self-confidence. Peter loves making people smile! Peter enjoys working with people to help improve their smile and self-confidence. He believes the greatest satisfaction as a dentist comes through helping patients understand what’s possible and working with them to achieve their aims, whether it’s a simple filling or restoring their smile. He always involves patients in decisions about their treatment so that they feel relaxed and empowered about the choices they make. To enhance his knowledge with the latest advances in dentistry, Peter has been to Fort Lauderdale, Chicago and Verona as well as completing an intensive year course in the world renowned Eastman Dental Institute in London. Peter has a special interest in dental implants and in 2012 he was awarded his qualification in Dental Implants at the Royal College of Surgeons London. In his spare time Peter enjoys spending time with his family and is a keen golfer. Kerrie takes pride in providing the highest standard of aesthetic dentistry and facial treatments to her patients at Quayside. Kerrie also loves flying with the Ulster Gliding Club. Kerrie loves making people smile! Kerrie joined the Quayside team in 2003 having graduated from Queens' University, Belfast with a distinction in the practice of dentistry. She is committed to lifelong learning and has attended numerous training courses and conferences since then. Kerrie takes pride in providing the highest standard of aesthetic dentistry and facial treatments to her patients at Quayside. In 2013 Kerrie achieved a Diploma in Restorative Dental Practice with distinction and in 2016 she achieved her Masters in Clinical Periodontology, yet again with Distinction. She has a gentle, friendly approach and takes time to get to know her patient’s goals ensuring that they are delighted with the end result, a beautiful smile. Kerrie is married and has two boys. In her spare time she enjoys relaxing with her family and has a keen interest in running. Mary is committed to providing high quality dental care in a relaxed, friendly, professional manner instantly putting her patients at ease. Mary loves making people smile! Mary graduated from Queens University Belfast, and joined Quayside Dental practice in 2007. She is passionate about her clinical development and has kept up to date in latest techniques through a number of post graduate courses with the UK and Chicago. She enjoys all aspects of dentistry and has a keen desire to help people by improving their confidence and transforming their smile. To offer her patients more cosmetic alternatives she recently completed training courses and is a registered practitioner and provider of cosmetic orthodontic treatment to straighten and align teeth. Outside of dentistry Mary loves to spend her time with her young family. She is a qualified T.C.R.G. and likes to help at her sister's Irish Dance school. Diana is a highly skilled dentist who prides herself on providing beautiful treatment in a painless manner. Diana loves making people smile! She is a hugely experienced dentist, originally from Colombia, she moved to the Northwest after meeting an Irish man! Colombia’s loss is our gain. Diana is an outstanding dentist and prides herself on attention to detail. She provides a gentle approach and spends a lot of time on her patients’ treatments to achieve the best aesthetic and functional result. Diana completed a Restorative Masters with Distinction in Manchester University. Since then, to keep her knowledge abreast, she has undertaken several training courses in aesthetics, occlusion and more recently orthodontics. Diana is a fanatical Irish rugby fan and attends as many matches as she can. She also enjoys dancing salsa and all the Latin-American rhythms. Our friendly and approachable hygiene team are all very passionate about educating people on the best way to keep their gums and teeth healthy and free of disease. Their enthusiasm is infectious and they have honed their skills motivating our patients to achieve a happy, healthy smile. Our hygiene team firmly believe in treating the person as opposed to just a set of teeth, and understand the importance of building trust and confidence with their patients. Leona joined the team in April 2010. She qualified in 2003 as a Dental Hygienist and as a clinical hypnotherapist and psychotherapist in June 2017. 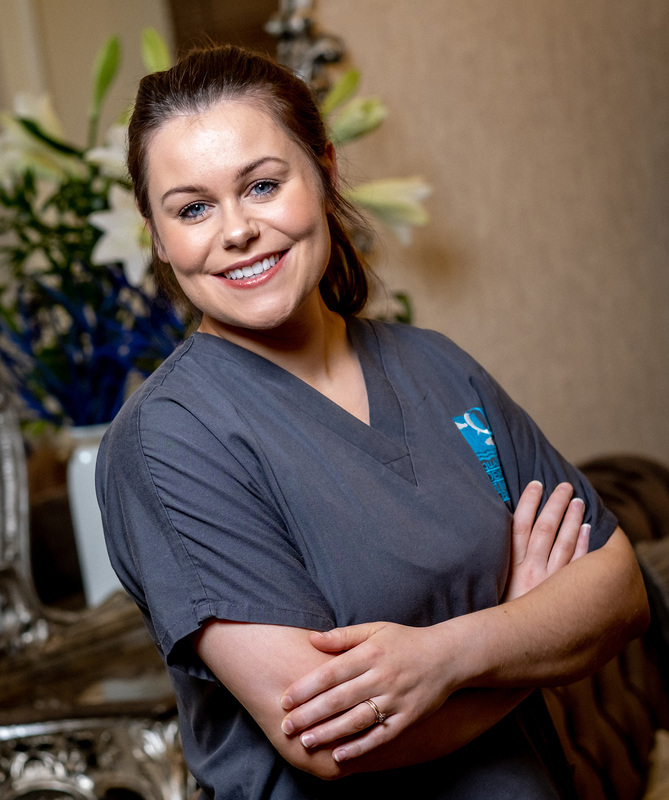 She is passionate about helping our patients have a relaxing experience whilst helping them to improve their dental hygiene to achieve good oral health. Amanda joined the team in May 2016. She qualified in July 2011 as a Dental Hygienist. Joanne joined the team in October 2016. She qualified as a dental hygienist and therapist in June 2014. Fiona is responsible for the day to day running of our sterilisation room. Prior to this role Fiona was a dental nurse in both general dental and orthodontic practices for 26 years. She exercises these qualities and passion for decontamination and sterilisation daily to ensure that all our instruments and equipment are processed efficiently adhering to the recommended guidelines set out in HTM01 -05. Rebecca joined the practice in January 2003. She received her Dental Nurse Qualification in May 2005 and is registered with the GDC. Rebecca then gained a further qualification in Dental Sedation Nursing in 2011. 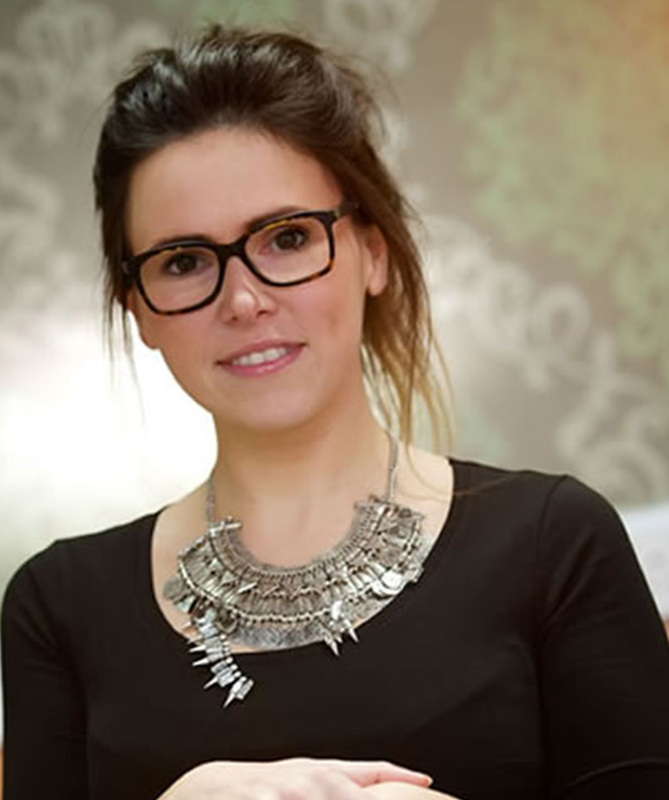 Rebecca is our Implant Coordinator, she is the initial point of contact for all our implant patients. She is here to ensure that all patients leave informed and have all their questions answered including possible treatment and finance options for dental implants. 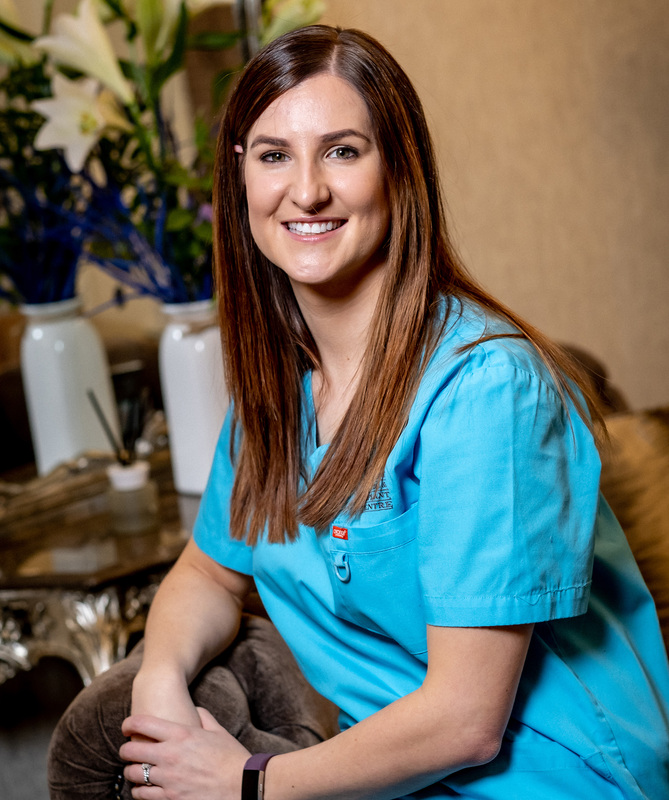 Laura is our qualified seditionist she administers light sedation for our Implant patients to ensure that they are comfortable and relaxed throughout their Implant treatment. Laura is also a qualified dentist who works in oral surgery when not with Quayside. If you have any questions about our treatments, please feel free to chat to any of our team. We would love to hear from you. Pamela joined our practice in July 2003. She is a fully qualified dental nurse registered with the GDC. She is our Practice Manager and due to her wealth of experience she has a great knowledge of customer care, administration and management. Wendy joined our team in Feb 2012. She previously worked with a large retail chain for a number of years and with her has brought knowledge and attributes to our team. Laura joined the practice in November 2003. She received her Dental Nurse Qualification in May 2005 and is registered with the GDC. With many years of chairside experience Laura brings a friendly manner to her role in reception which helps assist with any patient queries or concerns. Nicola joined the practice in March 2008. She is a fully qualified dental nurse registered with the GDC. In October 2014, she gained her certificate in Advance Impression Taking and in March 2017 her certificate in Dental Sedation Nursing. Nicola is a very enthusiastic nurse who enjoys following patient journeys for various treatments within the practice. Catherine joined the practice in October 2016, she is a fully qualified dental nurse registered with the GDC and in 2018 she gained her certificate in Dental Sedation Nursing. Catherine is our very motivated cross infection control nurse and she implements any adjustments of protocols within the practice, as and when it is set out by the RQIA. Samantha joined the practice in August 2016, she is a fully qualified dental nurse registered with the GDC. Samantha is our Lead Implant Nurse, she has a keen interest in Implant procedures and in March 2017 she gained her qualification in Dental Sedation Nursing to further her skills in this area. Charlene joined the practice in October 2016, she is a fully qualified dental nurse registered with the GDC. Charlene is keen to expand her skills and in 2018 gained her certificate in Dental Sedation Nursing.